All-year-round weather, the ocean waves, and that fresh sea air make evening strolls a popular Gold Coast activity, especially when you can call in to the Surfers Paradise Beachfront Markets! Stretching north and south along The Esplanade from the heart of Surfers at Cavill Mall, the markets take the shopping out of Surfers Paradise’s well-known arcades and into the street every Wednesday, Friday and Sunday night. 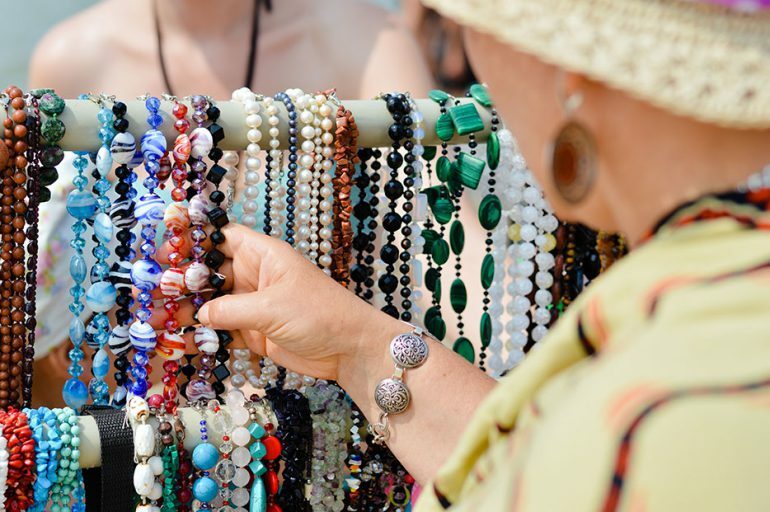 More than 100 stallholders offer up all kinds of locally made wares from jewellery to stylish homewares and accessories. This is the place to pick up a souvenir of your sunny Gold Coast holiday – perhaps a colourful artwork by a Queensland artist, or an evocative framed photograph of the Gold Coast’s beautiful rainforests or beaches. The markets open at 4pm (good for a pre-dinner walk as the sun sets) and run until 9pm in the mild winter from May to August. They open from 5pm to 10pm the rest of the year.